Few students are in a position to fund their college education entirely out of pocket. Even those students with well managed college savings plans will likely need to rely on some form of financial aid to fully fund their post-secondary education. For many students, grants provide the financial assistance they need to bridge the existing gaps in their college fund. 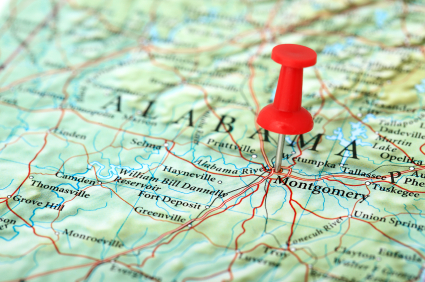 Resident students of Alabama have access to a wide range of Federally funded, and state sponsored, grant programs. These programs are designed to make college more accessible to Alabama residents by providing much needed financial support for students who may otherwise not be able to afford the total cost of their post-secondary education. Grants are awarded to students according to a number different criteria. Some grants only address financial need, while others target women, minorities, or students pursuing a particular professional degree. For students in the state of Alabama, finding the right grant can be the missing piece of their college funding puzzle. All Federal and state funded financial aid for college-bound students begins with the Free Application for Federal Student Aid. Students are required to fill out, and submit, the FAFSA prior to applying for any government sponsored financial aid. The FAFSA is used to calculate the level of financial aid for which any given student is eligible. Once the FAFSA has been submitted, students will receive their Student Aid Report (SAR), which will outline the amount of financial aid they have been qualified to receive. In addition to all Federal and state supported financial aid programs, most private sector and university sponsored programs also use the FAFSA and SAR to determine a student’s eligibility for grants and/or scholarships. All students planning for college should make filling out the FAFSA priority number one. The Federal government has in place a variety of grant programs aimed at making college more affordable, and more accessible, to students across the country. Eligibility for these grants is largely determined on the basis of financial need. College-bound students in Alabama, and around the country, should begin there search for grant money with these Federally funded programs. The Federal Pell Grant – Easily the most popular, and widely recognized, college grant in the United States, the Federal Pell grant provides much needed financial aid to students from all backgrounds who are struggling to pay for college. To be eligible, students must be enrolled in an undergraduate program at an accredited college or university. Award amounts are determined by financial need, cost of attendance, and status as a full or part-time student. The maximum annual award is $5,550. The Federal Supplemental Educational Opportunity Grant – The FSEOG is available to undergraduate students with extreme financial need, who are enrolled at a participating college or university. The FSEOG program allocates Federal funds to participating schools to be awarded as grants to students who demonstrate an exceptional level of financial need. Awards are made on a first come, first served basis, and students are encouraged to apply early. Grant amounts range from $100 to $4000. The Federal TEACH Grant – This career specific grant provides awards of up to $4000 to eligible students who are completing the coursework necessary to take up a career in teaching. To qualify, students must be enrolled in a undergraduate, post-baccalaureate or graduate program at a participating college or university. The TEACH grant is an award-for-service program, and recipients must sign a promissory agreement to teach in a high need field, or designated critical shortage facility, following graduation. The Federal Iraq and Afghanistan Service Grant – This program is designed to provide financial aid to college students whose parent or guardian served in the U.S. Armed forces after September 11, 2001, and died as a result of military service. The award amount is equal to the maximum Pell grant for the award year, but can not exceed the cost of attendance for that year. The Alabama state government recognizes the value of making college more accessible to its residents students. To that end, the state sponsors a variety of college grants which are administered through the Alabama Commission on Higher Education. These state supported grants help college-bound students from Alabama find the financial resources they need to realize their educational and career goals. As with all state supported financial aid programs, Alabama’s grant programs are subject to change according to the availability of funds. The following are a few examples of the state supported college grants available to students in the Yellowhammer State. The Alabama Student Assistance Program is a need-based grant for undergraduate students enrolled at a participating state college or university. Students must meet Federal and state financial aid requirements to qualify. Award amounts range from $300 to $2500. The Alabama Student Grant is available to undergraduate and graduate students attending one of Alabama’s participating independent colleges universities. This is not a need-based grant, and winners will be selected according to academic merit. Recipients are eligible to receive up to $1200 per academic year. The Police Officer’s and Firefighter’s Survivor’s Educational Assistance Program provides financial assistance to the spouses and dependent children of police officers and firefighters who have been killed in the line of duty. Eligible students must be enrolled in an undergraduate program at a state college or university. The grant covers full tuition, fees, books and supplies. The Alabama National Guard Educational Assistance Program provides grant money to Alabama National Guard members who are enrolled in a public post-secondary educational institution within the state. Awards range from $500 to $1000, and are decided according to academic achievement. The Alabama G.I. Dependents Educational Benefits Program offers a full tuition grant to the children and spouses of eligible Alabama veterans. Qualifying students must be enrolled as an undergraduate at one of Alabama’s state colleges or universities. Students across the country face many of the same challenges as they prepare for college, chief among them being the search for financial aid. Students in the great state of Alabama have access to a wide range of state-funded and Federally supported college grants. Resident students of Alabama who are looking for more information on financial aid and planning for college should visit the dedicated website of the Alabama Commission on Higher Education.